Supernumary teeth are those that are not part of a regular dentition. They can be called as extra teeth as well. One such example of supernumerary teeth is mesiodens which is found in the upper jaw somewhere behind the incisors. It does not cause any trouble and therfore remains asymptomatic. It is generally discovered in routine X-rays. Your dentist will keep a track on this tooth once discovered so that it does not become a reason for crowded teeth or hinder the permanent tooth eruption. Usually, mesiodens is pulled out when the tooth is asymptomatic and the child’s age ranges from 6 to 8 years. The patient is put to sleep before the procedure of removal commences. Through a tiny incision made on the upper part of the mouth, mesiodens is removed and stitches are placed for proper healing. After the removal of mesiodens, the permanent teeth can erupt normally. An impacted tooth is a rarity in the primary dentition as it is generally seen in the permanent dentition. Primary second molar is the most common primary tooth that undergoes impaction. A primary tooth can get impacted due to reasons like injury to tooth bud or any physical hindrance. In any case, the tooth eruption has to be observed with caution. An impacted primary tooth can lead to delayed eruption of the permanent successor. Removal of the impacted primary tooth is the best way to manage the trouble caused by it. The removal is done after putting the patient to sleep. A space maintainer is also installed so the neighboring tooth does not moved into the space created by tooth removal and the permanent tooth erupts into its future position without interruption. A frenum is a fold of tissue or muscle fibers that serves as an attachment between the lip or tongue to the upper or lower jaw. In case of the upper jaw, the labial frenum can extend more than normal on the gums. This may lead to spacing in between the upper teeth. In case of the lower jaw, if the lingual frenum that attaches the tongue to the lower jaw is shorter than normal, it may result in a condition called tongue-tied. This can cause feeding problems in infants and speech difficulties as they grow up. The band can be removed by a small incision done after the child is asleep and then stitches are placed that dissolve themselves. The mucocele is a soft tissue lesion that occurs in children commonly. It is caused due to injuries like lip biting (especially in the lower lip) in which the salivary gland and duct get blocked causing saliva entrapment within resulting in the formation of a swelling. It can remain as such for weeks or months with variable chances of increase or decrease in size. 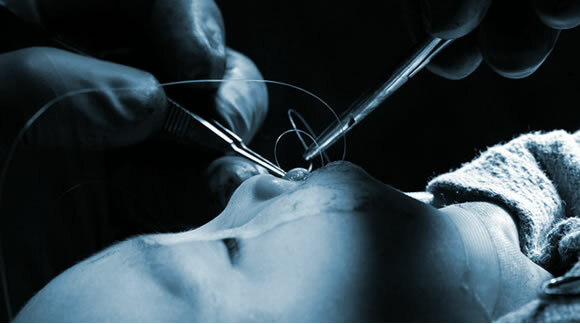 Ideal treatment option is removal of the affected salivary gland by making a small incision when the child is asleep. Self-dissolvable stitches are placed for proper healing of surgical wound. Injuries to the teeth, gums, and lips can be quite dramatic to the pediatric population. children get quite panicky in such situations as such experiences are associated with pain and blood. The only thing the parent should be concerned is that the tooth is located to ensure that it has not been swallowed and has come out as a single piece (with no remnants inside the mouth). If the patient loses his permanent tooth and if the tooth has not undergone a lot of damage it can be placed within the mouth within few minutes of the trauma. Again, the parent should be able to find the tooth and ensure that it has not been swallowed. The fallen tooth can be preserved in milk, within mouth in between teeth and cheeks or a particular solution that has been given to you by your dentist. The tooth is placed within the mouth and secured to the neighboring teeth after putting the child to sleep. After two or three weeks the dentist may performs a root canal on the same teeth.